The Institute of Sociology of the Russian Academy of Sciences (ISRAS) is a leading social research institution in the Russian Federation. It was created to advance social theory, engage in fundamental social studies and provide practical counsel to better the living conditions of the Russian population. The Institute came into existence on June 14, 1968 as a further step to expand and develop the Department of Concrete social research of the Institute of Philosophy of the USSR Academy of Science. In 1988 it assumed a new name – the Institute of Sociology of the now Russian Academy of Sciences. Dramatic social change initiated by the process of perestroika influenced the Institute’s research agenda. The Institute set out to explore the fundamental structures and issues that affected life in the Soviet Union. In 1991 a group of scientists led by Academician Gennady Osipov left the Institute and founded a new research institution – the Institute for Socio-political studies of the Russian Academy of Sciences (ISPR RAS). The reorganization campaign launched by the Academy of Sciences in 2005 led to a merger of the Institute with two other Institutes – the Institute of Comparative Social Research and the Institute of Comparative Political Research. Currently the Institute’s staff incorporates close to 400 employees out of which 300 are researchers. One Academician, two corresponding members of the Russian Academy of Sciences, 60 Doctors and 100 Candidates of sciences are now engaged in research projects of various magnitude and direction. In addition the Institute runs an analytical bulletin with a range of hot topics in social sciences. The Institute annually releases a monograph entitled “Russia in Reform” that aggregates the most significant contributions by the Institute’s researchers ranging from sociological theory to survey data analysis. 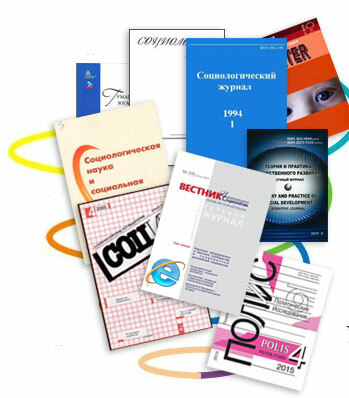 Every year the Institute researchers publish close to 30 books and 300 articles in leading sociological journals. The Institute is present in social networks. It runs a page on Facebook.